FoodSwoon FoodSwoon | Page 7 of 8 | Recipes and musings inspired by daily life and entertaining. My daughter, Esmé, turned one year old last week and we celebrated with a ladies-only, champagne-and-cake party. Having thrown our son a rowdy sixth birthday party just five days earlier, I wanted Esmé ’s celebration to be a quiet evening affair with close friends and family members. In lieu of gifts, I asked guests to bring words of wisdom for a book I’m putting together for her. The decorations were simple: pink flowers, white candles and pink paper pompoms. The champagne flowed freely, and a dreamy cake rested on a pedestal in the middle of the room, waiting to be cut. Adorned with pink strips of buttercream fondant, the cake featured layers of white velvet cake inside with chocolate buttercream frosting. Warning: this savory monkey bread is strangely addictive. I’ve had several friends confide that they thought about the bread for days after eating it. Perhaps I inadvertently put a spell on them? More on that in a minute. Another friend, when I suggested he and his fiancé drop by for a visit, said “Will you make those squishy bread things?” Deliciously squishy, yes they are. Also buttery, slightly salty, and if you like dill, well, this is the bread for you. 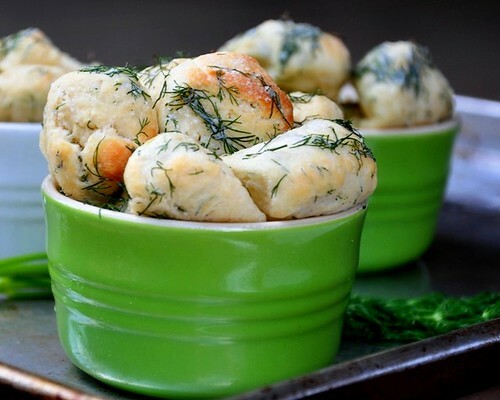 Two generous tablespoons of dill are incorporated into the dough, and the individual bread pieces are rolled in a dill-infused butter prior to baking. 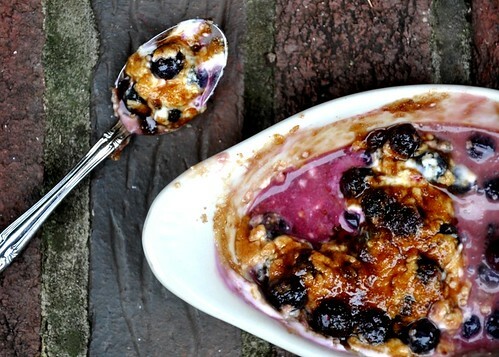 Had I known about this three-ingredient, five-minute berry gratin in college, I would have heavily relied on it for a sweet tooth fix. Instead, I squandered those years snacking mostly on junk food concoctions. Marshmallow fluff mixed with M&Ms comes to mind. I also recall spending a particularly depressing Valentine’s Day slumped over an enormous basket of chocolate sent bya secret admirer my dad. I would have benefited, in more ways than one, from occasionally venturing into the kitchen and attempting a homemade dessert like this berry gratin, something I am confident my 20-year-old self could have whipped up without burning down the house. Elote (ay-loh-tay) is popular street food in Mexico and parts of the United States. 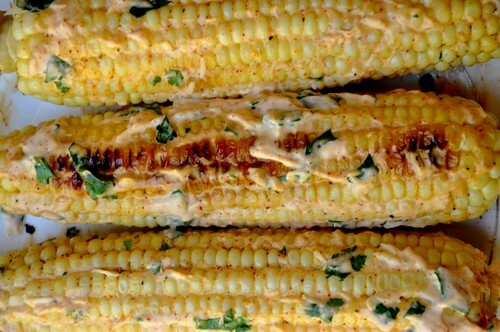 In this version, the corn is grilled then slathered in a mayonnaise-sour cream sauce with cheese, cilantro, spices and lime juice. I varied the recipe last week, cutting the grilled corn off the cob and spooning the sauce on top of each serving, which is called esquites (es-key-tez). My friend Liesa, she of many talents — including fire-ball-twirling!, brought over a lovely platter of local figs, goat cheese and candied walnuts one evening in July. The unique combination was a hit and reminded me of a grilled figs appetizer I have, for whatever reason, resisted ordering at Highlands Bar & Grill. 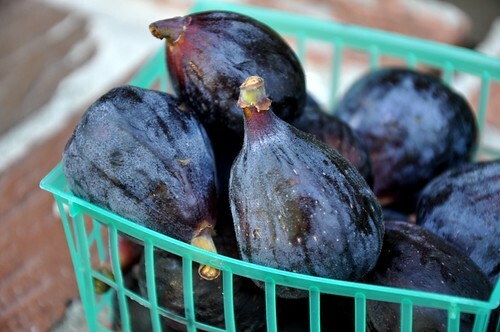 It’s a regular on the menu when figs are in season, roughly July through September. We found ourselves at Highlands a few weeks ago, and I decided to finally order the figs, mostly because I wasn’t all that hungry and figured if the appetizer wasn’t my thing I could make up for it with another bourbon. The grilled figs turned out to be, much to my surprise, deliciously complex – buzz-inducing, even. (I swear it wasn’t the bourbon.) 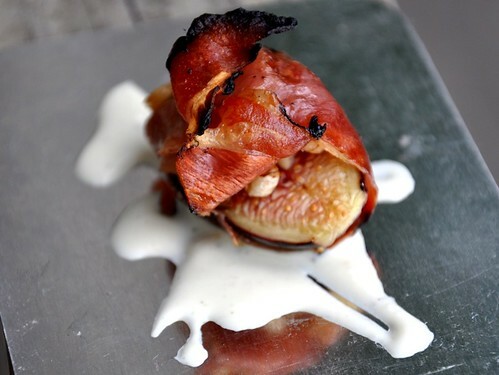 It’s hard to describe the flavor combination; in each warm bite, you have the crunch of a walnut, the sweetness of a tender fig, and the saltiness of crispy prosciutto, with the faintest hint of lemon and mint from the cream sauce. 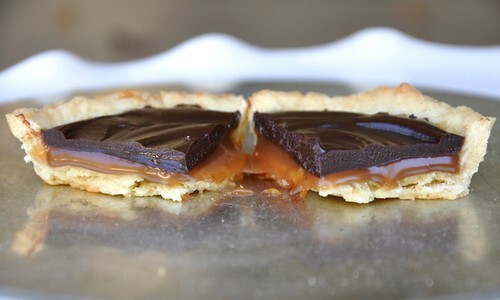 These tarts taste like your favorite candy bar, stepped up. With a salted caramel filling resting beneath a thick layer of bittersweet chocolate ganache, I knew they’d be right up my dad’s alley. He loves chocolate and will choose it for dessert over everything else. He invented one of my favorite childhood snacks: chocolate syrup swirled with peanut butter on hot, toasted bread. I remember him bringing home chocolate-flavored coffee and unusual chocolate-covered fruits. My brothers and I still tease him about the “Give Me Chocolate Or Give Me Death” bumper sticker he plastered on the back of his car, which seemed like a good idea until one afternoon when he found himself leading a funeral procession. I wasn’t searching for a 50-year-old recipe for, of all things, a hamburger. It sort of leaped off the page, like my grandmother’s handwriting in the margins of a treasured book. 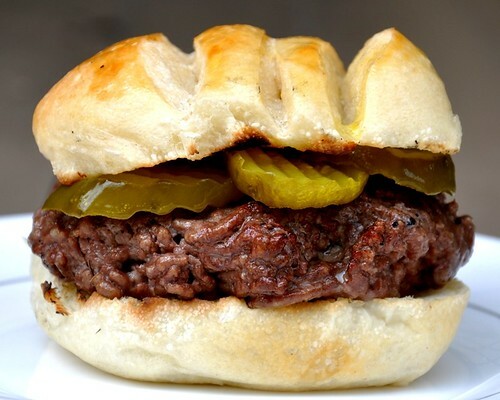 The burger recipe, a James Beard gem, was published in House & Garden magazine in July 1956. During that year, Elvis Presley performed on the Ed Sullivan Show, the Yankees won the World Series, and Jif peanut butter was introduced to the home kitchen. Sledge hammers were fashionable cocktails at evening soirées, and backyard cookouts were all the rage in suburban America. Since making Beard’s recipe, I’ve wondered how many burgers flipped on smoky grills during the summer of 1956 were inspired by a page torn out of House & Garden. 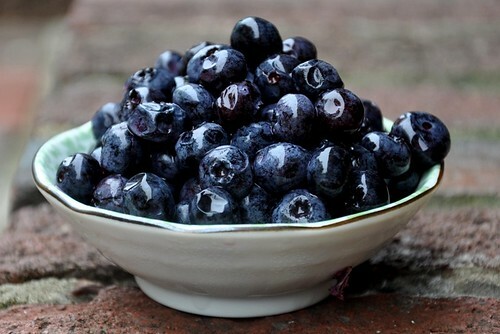 I wish my Grandmother Robinson were still alive, so I could ask her if she had tried them. On days when I don’t have time to appropriately dress myself let alone an hour to prepare dinner, I make poisson en papillote (fish in parchment paper). We eat this dish almost every week. Start to finish, it takes approximately 25 minutes to prepare, 15 minutes of which are cooking time, and the best part is it even creates its own sauce. 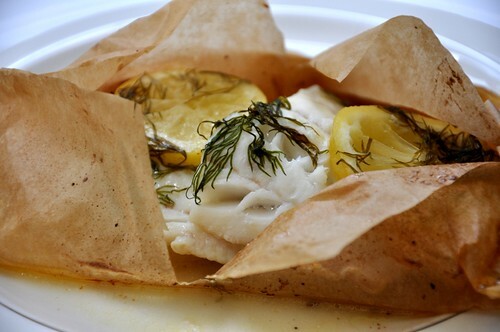 You simply arrange a few lemon slices, pats of butter, shallots and herbs on top of and underneath the fish, seal the parchment paper, shove it in the oven and do absolutely nothing while the butter melts and bubbles around the fish, intermingling with the herbs and shallots to create a glorious sauce. My husband hounded me for most of July to recreate a salad we ate at a church get-together. He enjoyed this salad so much we joked it was a religious experience. I realize the mention of church salad may evoke less-than-savory memories of potluck dinners and salads of the wobbly, congealed variety with floating chunks of mystery fruit. Let me ease your fears: 1) This salad does not involve jell-o; and 2) It was the creation of a church member who was formerly a chef at the James Beard-nominated Hot And Hot Fish Club and is now a test kitchen professional at Cooking Light. So, yes, the man knows how to make a salad. My husband normally loathes creamy dressings, and I have heard him remark on more than one occasion that he cannot understand why anyone would choose to bury their greens under something “that resembles oil paint.” The buttermilk vinaigrette in this salad, however, is zestier and a bit lighter than its creamy counterparts. 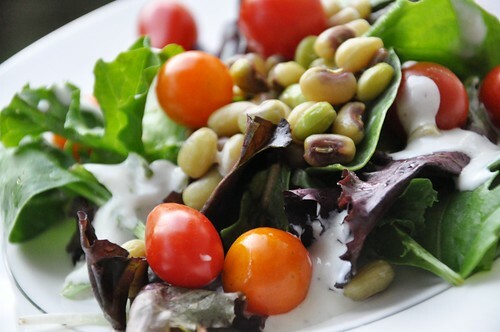 It does not overpower the plate; rather, it brings to life the cherry tomatoes, lady peas and mixed greens.